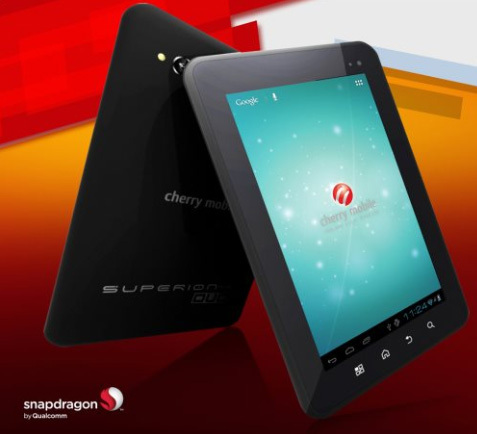 Another new and affordable tablet that will surely make noise to the public, Cherry Mobile announced their newest tablet, the "Cherry Mobile Superion Plus Duo 3G." It comes with a call and sms function for exciting and more fun experience. Cherry Mobile Superion Duo Plus design in a 7-inch capacitive touchscreen and runs on Android 4.0 Ice Cream Sandwich. It also have a 1.2Ghz Snapdragon dual-core processor with 3G ready for call and SMS (with 1 sim only). And the price is amazingly affordable, Cherry Mobile Superion Plus Duo sells for only just Php6,999. If you like this page, please bookmark it now or visit this site more often for you to be updated on Cherry Mobile devices. For the meantime you may share this post to your friends so they may know the latest in Cherry Mobile. Thank You and God Bless!!! Comments or suggestions about "Cherry Mobile Superion Plus Duo 3G Tablet " is important to us, you may share it by using the comment box below.